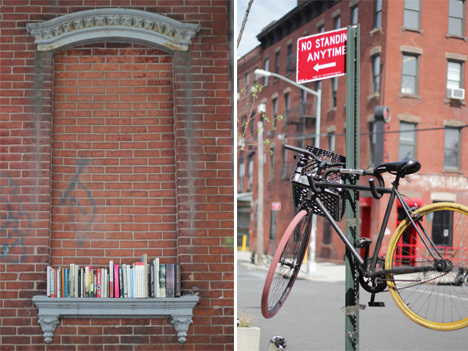 Sometimes, a reclaimed piece of junk is all it takes to make a bus stop, bike rack, subway station or virtually any other urban setting more comfortable and fun. 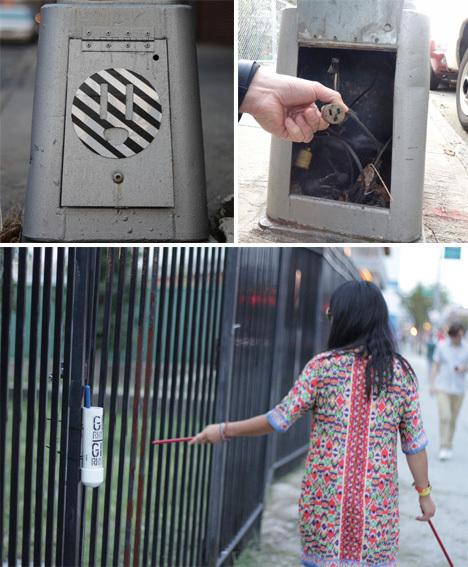 The Rotten Apple project consists of incredibly fast and cheap urban interventions that anyone can replicate in their own cities, from a simple hinged wooden board that turns a bike rack into a folding seat to improvised tools that transform scaffolding into a musical instrument. 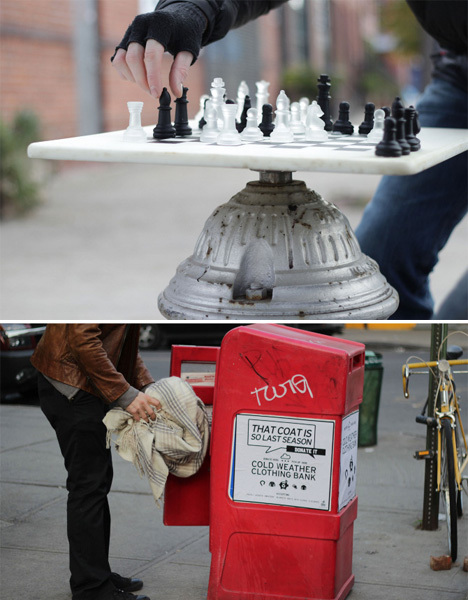 A piece of scrap wood and some chess pieces, fitted onto the top of a fire hydrant, becomes a public game board. An old, unused newspaper dispenser is a cold weather clothing bank with the addition of a sticker. 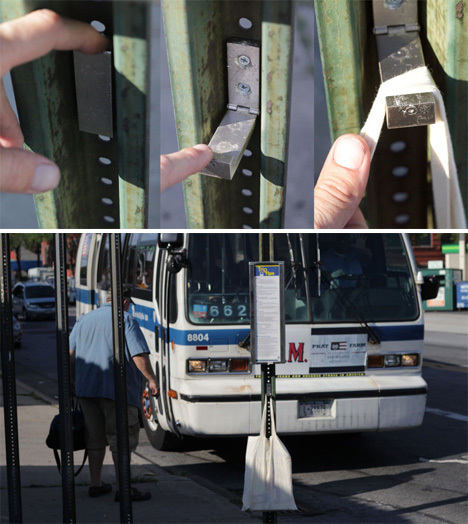 Commuters waiting on the bus have a place to hang their bags thanks to an old IKEA clothes hook added to a street sign. Other signs were modified into sidewalk tetherballs or double-height bike racks. Magnetic boards on the subway platform aren’t just a fun way to pass the time, they can also brighten up someone’s day with a cheerful message. A window of an abandoned building, bricked up long ago, is a public bookshelf, and a sticker applied to an electric main notifies passersby that there’s an outlet hidden inside so they can charge their phones.